Hip fractures are unfortunately common in older adults, and dementia increases this risk. Osteoporosis often develops as people age and so bones are less likely to remain intact in a fall. Falls are the cause of 95% of hip fractures, and 70% of those hip fractures occur in women. 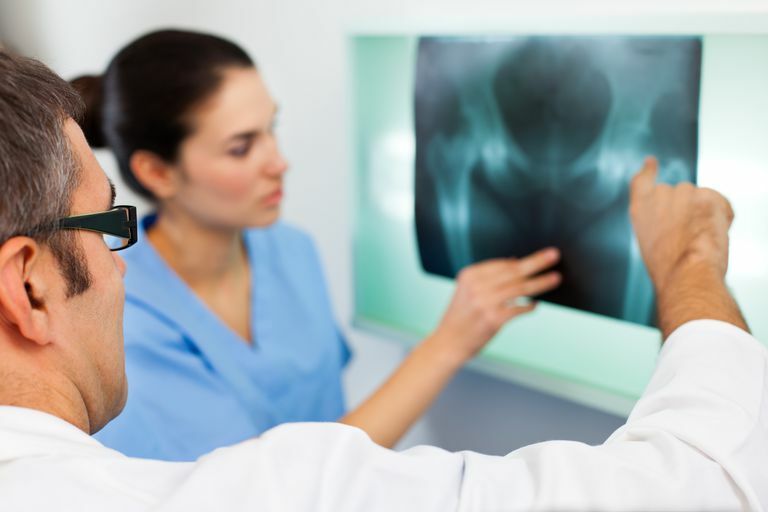 A hip fracture is a broken bone in the hip, often in the socket area or at the very top of the femur bone. Most hip fractures require surgery for repair and an extensive recovery often follows. People with dementia have a higher chance of experiencing a hip fracture. One study found that nursing home residents with dementia were twice as likely to fracture a hip than those who were cognitively intact. People with dementia who live in their own homes and take antipsychotic medications are also more likely to fracture their hips. And not surprisingly, those with both dementia and osteoporosis have the greatest risk for a hip fracture, according to some research. Those with dementia who fracture their hip also have a higher likelihood of developing delirium during their hospital stay. If delirium develops, it can lead to longer hospitalizations, poorer recovery in terms of mobility and longer facility care. The recovery and rehabilitation of someone with dementia after a hip fracture can be complicated by memory loss. Often, a weight-bearing limit is placed on someone after surgery and the individual with dementia may not remember that she can't just get up and walk. Mortality rates (the number of people who pass away) in people who fracture their hip (with or without dementia) are between 12-33% after one year. When an older adult with Alzheimer's or another dementia experiences a hip fracture, several complications are possible. Can a Person With Dementia Recover After a Hip Fracture? Yes. Although dementia makes it more challenging and decreases the likelihood of full recovery, people can regain their previous level of functioning. Dementia influences the recovery process, but research demonstrates that functioning level prior to hip fracture is a stronger predictor of successful rehabilitation than cognitive status. In other words, if you were quite strong and mobile before breaking your hip, you are more likely to regain that strength and mobility, even if you have some memory loss or a diagnosis of dementia. Falls can happen so quickly, but by reviewing some of the common causes of falls and taking precautions, you may be able to prevent some of them. If a fall does happen, you should spend some time trying to figure out the root cause in order to reduce the chance of it happening again. Physical exercise can help maintain balance, muscle tone, and bone strength, and some research has shown that exercise also can slow down cognitive decline in people with dementia. Falls and a resulting fracture are less likely to occur in those whose bodies are stronger and whose minds can evaluate safety issues. Some physicians might prescribe medications such as calcium supplements to try to make the bones more resistant to fractures. Medications that help people sleep at night may seem like a great solution for the person with insomnia, but they come with a higher risk of falls. Some physicians recommend instead that a natural supplement such as melatonin be taken to hopefully decrease the risk of falls and fractures. Be sure to ask your doctor before taking any over-the-counter medications or supplements. If you or your loved one is living with dementia, it's important to understand the risks that a hip fracture involves, as well as how to reduce those risks. And, while the risk of complications from a hip fracture is higher with dementia, there are some people who do recover well. As is often the case in health issues, prevention truly is the "best medicine" when it comes to hip fractures.